The costs included in this Academic Catalog are those in effect at the time of publication. They are subject to change by action of the Union College Board of Trustees. Tuition and fees paid by students cover about 70 percent of the instructional and operating costs of the College. The difference is met by income from endowment and contributions from individuals and organizations that recognize the opportunities offered by Union College. Comprehensive Fee: The comprehensive fee, which includes tuition, room, board, and fees for all full-time undergraduate programs is $66,609. A year’s tuition allows students to register for three terms, taking three courses per trimester. This amount will be billed in three equal installments, payable on receipt of the bill for each term, in advance of the first day of classes. All full-time undergraduate students are expected to register for three courses per trimester. All continuing matriculated (full-time) students must register for at least three courses in every trimester prior to graduation. Additional Courses/Fourth Courses: Full-time undergraduate students who are required to pay for additional courses above the normal course load will be charged $3,923 per course. Refer to “Academic Policies, Fourth Courses ” for policies regarding enrollment for fourth courses. Part-time and non-degree course fees: All students in a part-time undergraduate program, both matriculated and non-degree, will be charged $5,891 per course. The charge to audit a course is $2,945. Dining Services: All full time undergraduate students are required to be on a meal plan. All first-year students are required to be on the 15-meal plan. Upperclass students may choose any of the meal plans offered. Students living off campus may elect the declining balance meal plan, which includes $200 per term, for a total of $600 per year and receive a rebate on their student bill equal to $1,597 per term, for a total of $4,791 per year. Students living off campus may also elect the 20 block meal plan in addition to the declining balance meal plan. The 20 block plan includes 20 meals plus $100 in declining balance dollars for an additional charge of $250. Credit left on the student’s declining balance at the end of the fall or winter term will be credited to the following term. Because the meal plans are exempt from New York State sales tax, any credit remaining at the end of the spring term will be forfeited. Students have the option of adding to their declining balance in increments of $25. The declining balance credit can be used in any of the College’s dining service facilities. The students ID will also act as a declining balance card, which has the cardholder’s picture for identification and a magnetic strip to track the student’s cash and meal balance. Students wishing to purchase additional credit may do so in the Dining Service Office or online at https://unioncollege.managemyid.com. The card is non-transferable and alterations or misuse can result in disciplinary action. Lost cards should be reported to the Campus Safety Office immediately. Replacement charges are $25. A letter from the student’s physician must be submitted detailing the specific diet, the reason for the diet, and the expected duration of the diet. A copy of the diet must be sent to Health Services. A follow-up letter from the student’s physician must be sent at the end of each term stating the results of the diet and whatever changes, if necessary, must be made in that diet. Union College holds a club New York State liquor license. The laws governing the locations, sale, and consumption of alcohol on or off campus by student groups or organizations using the dining services will be strictly enforced. Temporary beer and wine permits are necessary for any group wishing to sell beer or wine or charge admission at a social function where beer and wine are being served. Such permits are available through the local A.B.C. Board. College Housing: Union is a residential college, and all students are expected to live on campus during the course of their undergraduate years, provided housing is available. Each year, prior to the spring housing lottery, the Office of Residence Life will publish guidelines for requesting permission to live off campus. Students living off campus will receive a rebate of $2,159 per term, for a total of $6,477 per year. Students who are married or who commute can be exempted from the on-campus requirement. (There are no housing facilities for married students.) Once the residence contract is signed, the student is bound to all College policies as outlined in this Academic Catalog, the College’s Student Handbook, and the terms and conditions of the residence hall contract. All residence hall rooms are provided with a single telephone connection and an individual network connection for each occupant. Telephone service that is provided at no additional cost includes dial tone for touch tone service; campus and local calling; and custom calling features. The phones for the rooms are provided by the residents. Long distance calling can be provided by the College using personal authorization codes obtainable through the Telecommunications Office, or by other long distance carriers using a calling card. The 100Mbit/second Ethernet network connection provides access to the computers run by the Office of Information Technology Services and to the Internet. Bookstore Charges: Students may open a charge account at the Bookstore at any time, with a parent as co-signer on the account agreement. These charges will be included on the student account bill. Students with financial holds will have their Bookstore account closed until the balance is satisfied. The Bookstore also accepts cash, checks, and major credit cards as payment. Student Health Insurance: All full-time undergraduate students are required to be covered by health insurance that meets the minimum requirements established by the College. U.S. Citizens who are covered by their parents’ / responsible party’s insurance may waive enrollment in the College plan by completing the online waiver at www.gallagherstudent.com/union. Students will be enrolled for insurance provided through the College and charged accordingly if the online waiver is not completed. The waiver is only valid for the current year, therefore it must be completed annually. The deadline to waive is August 11 and is the only means students have of avoiding compulsory enrollment under the College-sponsored plan. International students are automatically enrolled in the health insurance provided by HTH Worldwide. Planning requirements and financial commitments of the College require strict adherence to the following policies and deadlines regarding withdrawal, refunds, and payment of obligations. Students and parents are expected to acquaint themselves with these regulations and to make decisions with the deadlines and policies clearly in mind. Withdrawal from a course: If a student drops or withdraws from a course for any reason and as a result takes less than a full course load for the term, tuition will not be prorated for that particular term. Withdrawal from an international program: Refer to the “Union College International Programs (Study Away) Withdrawal Policy” in the International Programs Courses of Instruction section for additional information. All students who intend to withdraw from Union must notify the Dean of Students Office in writing. No withdrawal, or leave of absence, or cancellation of registration or reservations is official except by written notice to the Dean of Students. Neither failure to preregister or register, nonpayment of the term bill, nor a request for a transcript constitutes official notice. Requests for deadline extensions should be made in writing, before the deadline, to the Dean of Students. Notification to the Dean of Students must occur by July 1 preceding an upcoming academic year of the intent to withdraw for a term during that year. Failure to inform the College of the intention to withdraw by July 1 will result in a $250 withdrawal fee. Exceptions may be made in cases of illness or emergency and for seniors requiring fewer than three courses for graduation and electing to withdraw during the winter term and return for the spring term. Notification of the intent to exercise the latter option must be made in writing to the Dean of Students before the due date of winter term bills. Any student who withdraws or takes a leave of absence will be eligible for a refund of the comprehensive fee (less financial aid) based on the following schedule which is calculated as of the last day of attendance. Students are encouraged to request a voluntary medical withdrawal at any time that they believe that physical or mental health concerns are significantly interfering with the ability to be a successful student and/or that the demands of College life are interfering with recovery or safety. A medical withdrawal must be approved by the Dean of Students in consultation with campus health care professionals in accordance with College policy. A student who starts the term and then withdraws for documented medical reasons from all courses for the term (marked on the academic record as course withdrawals),may choose a refund of the comprehensive fee based on the regular refund schedule (see above). Alternately, a student may request (1) a pro-rated credit for room and board based on the percentage of the term elapsed and (2) a tuition waiver equal to full tuition paid for the term to make up the missed courses later. A tuition waiver may be applied to the student’s final term prior to graduation if that is an extra term (beyond the date on which the student’s graduation would normally be expected.) A student may request instead that the tuition waiver apply to a fourth course charge in up to three terms in which the student is academically eligible to enroll in a fourth course. Questions about fulfillment of the 12-term residency requirement should be directed to the Dean of Studies. If the withdrawn student does not return within six (6) months, they may be contacted to begin repayment on their student loans. Students should contact their loan servicer for any questions regarding their loan repayment options. Should a student be unable to return following a medical leave, the student may be eligible for a tuition refund at the discretion of the Dean of Students. Refunds will be calculated as tuition less scholarships and grants. Refunds will be credited in the following order: Federal Stafford Loans; Federal Supplemental Loan to Students (SLS); Federal PLUS Loans; Federal Perkins Loans; Federal Pell Grant program; Federal Supplemental Educational Opportunity Grant program; other Title IV funds; non-Title IV funds; any remaining credit balance to the student. Other fees not subject to a refund include health service fees; health insurance; late payment fee; security fines; late registration fee; telephone charges; and declining balance. Students will not be entitled to any portion of a refund until all Title IV programs are credited and all outstanding charges have been paid. Registration: All financial obligations must be satisfied before prescheduling. This includes the receipt of funds from student loans and scholarships from sources outside of Union College. General Financial Obligations: Diplomas and transcripts will be withheld from a student who has not met all of his or her financial obligations to the College. Failure to satisfy financial obligations may result in suspension from the College and the account being sent to an agency for collection, where the student is responsible for collection fees assessed. To return to Union, the student must apply to the dean of students for readmission. Payment of the outstanding tuition balance plus the full amount of the next term’s bill will be required before the student is accepted. $250 deposit is retained until graduation or withdrawal. If the student does not attend Union, this $500 deposit is forfeited. A $350 deposit is required to reserve a place in the program. Students participating in a faculty led term abroad are charged the comprehensive fee for the term plus a $650 International Program fee. Charges include tuition, room, board, insurance, and group excursions; but exclude round trip airfare to and from the host country program destination. Students participating in an exchange program or term abroad without a Union faculty member are charged the comprehensive fee for the term. Charges include tuition, room, board, insurance, and group excursions; but exclude round trip airfare to and from the host country / program destination. Exchange programs in Lille, France; Aachen, Germany; Antwerp, Belgium; and Istanbul, Turkey have special billing arrangements and students are encouraged to check with the International Programs Office. 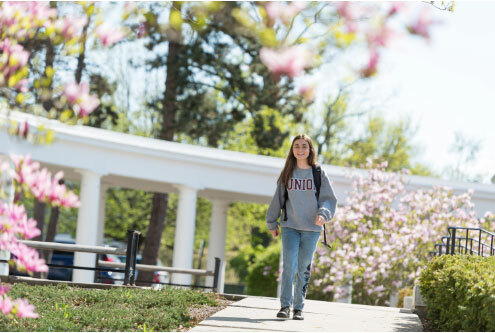 Union College has a long-standing history of enrolling students who have an outstanding record of personal and academic achievement with a strong commitment to excellence. Since not all qualified students have the financial resources required to attend the College, we offer a very comprehensive financial aid program designed to make a Union education an affordable option for all undergraduate students. Although the College offers some merit awards to recognize the outstanding accomplishments of applicants, the majority of aid resources are awarded based on demonstrated financial need as measured through both the Free Application for Federal Student Aid (FAFSA) and the CSS Profile. All candidates for admission are automatically considered for merit awards. There are no separate applications required. Prospective students who would like to be considered for need-based financial aid must indicate on their admissions application their desire to apply for aid and submit both the Free Application for Federal Student Aid (FAFSA) at www.fafsa.ed.gov and the CSS Profile at https://www.collegeboard.org/ by January 15. In addition, if the biological parents of the dependent student are separated or divorced, the noncustodial parent must also submit the CSS Non-Custodial Profile. Continuing students must complete the current year FAFSA and Profile and submit all verification documents to the aid office by April 15. A listing of the required verification documents is provided on the financial aid web site. Generally awards consist of a combination of scholarships, grants, loans, and part-time employment. In determining the aid award, Union typically includes a part-time job ranging from $1,700 to $2,000 as well as some minimal amount of loan. The balance of the award consists of scholarship assistance. The College attempts to meet the full demonstrated need of all of our applicants. Since needs change from year to year, students must submit applications each year to determine their award eligibility. Initial aid awards will be offered based on the information provided on both the FAFSA and Profile. All enrolling students will be required to either utilize the IRS data retrieval tool or submit copies of tax transcripts to verify the awards that have been offered. Awards may be adjusted when there are differences between FAFSA/Profile estimates and actual figures. If a student receives outside scholarship awards, he or she must notify the financial aid office. If federal need has not been fully met or a student is receiving only merit awards, he or she may be able to keep the outside award in addition to our financial aid offer. If federal need is fully met, the College will reduce the loan or work portion of the package first. For questions about how the award may affect an aid package, please contact the financial aid office. Financial aid awards will be disbursed to a student’s account provided that the award has been income verified and all required documents have been completed online or submitted directly to the aid or finance office. Typically the aid will be disbursed at the beginning of each term and subsequent disbursements will occur on a weekly basis. Since family circumstances change from year to year, need is re-evaluated annually. Continuing students will receive a reminder via email from the Department of Education for the renewal of their FAFSA application. In addition, the Financial Aid office will provide detailed information on its web site regarding the renewal application process. Students and parents can view the status of their application through Webadvising. The deadline for continuing students is April 15. Once the completed aid application has been reviewed by the Financial Aid Office, the student will be notified via email to view their award online. They will also have the opportunity to accept/decline any loans that were offered as part of their aid award through Webadvising. Please note that all students are eligible to receive a maximum of 12 terms of financial assistance. If a student is receiving only a merit award the scholarship will automatically be renewed in subsequent years provided the student is enrolled as a full-time undergraduate at Union College. Students who are enrolled in the Leadership in Medicine Program and/or the 3+3 Accelerated Law Program are not eligible to receive merit and/or need-based aid from Union College once they have officially enrolled at Albany Medical College or Albany Law School. In some cases the total amount of financial aid will exceed the amount of the bill. This most often occurs for students living off-campus. If a credit balance exists on a student account, he or she may elect to leave the surplus to be used for a future term or request a refund from the Finance office. Please note that refunds can be issued only on amounts that have been credited to the account. There are no minimum grade point average requirements for the renewal of Union College scholarship awards. However, if a student is receiving federal and/or New York State awards, he or she must meet satisfactory progress guidelines described in the sections that follow. Federal regulations require that schools monitor the academic progress of each applicant for financial assistance to ensure they are meeting academic progress standards. At Union College, the standards of Satisfactory Academic Progress (SAP) are evaluated annually at the end of each academic year. In order to maintain SAP, all three of the following guidelines must be met. At the end of the first academic year, students are expected to have a GPA of at least 1.65. Students must complete each subsequent academic year with a minimum GPA of 2.0. Students must complete their program at a pace of 67%. To illustrate: Typically, students register for/attempt a total of 9 credit-bearing courses per academic year. In order to meet Union’s pace standard, 6 of those courses must be successfully completed (67%). Students are expected to complete graduation requirements within the normal time specified in the program description for the program in which they are enrolled. Under certain circumstances, however, the student may require more than the normal completion time to fulfill graduation requirements. The maximum time frame in which a student must complete the program is 150% of the published length of program measured in credit-bearing classes attempted. Credits transferred in from another institution as well as Advanced Placement classes that are accepted towards the student’s educational program are counted when measuring SAP as classes attempted and classes earned. Grades of “W” (withdrawn), “WF” (withdrawn failing) and “I” (incomplete) will be included as classes attempted, but not as earned. Note: Students who have received an “I” and, as a result, are not making SAP are responsible for informing the Financial Aid office when they have been assigned a traditional letter grade. They should request a review of their SAP status. This review is not considered an appeal and may not result in eligibility for federal student aid. For example, if a processing deadline has passed then federal aid cannot be disbursed regardless of their SAP status. It is the responsibility of the student in this situation to contact the financial aid office for all processing deadlines. For repeated courses, the original and repeated course will both be included in the total number of classes attempted. However, the student will only receive credit for taking the class once. This includes students who have repeated a course because of a prior failure or who are repeating a course they have passed, but not met a minimum grade requirement. For instance, if a required prerequisite must be completed with a “C-“, but the student previously passed with a “D”, both classes will count as attempted, but counted only once as earned. Students who are not meeting the SAP requirements will lose eligibility for their federal aid (Direct loans, PLUS loans, PELL, SEOG and federal work study) the following academic year. In order to regain eligibility, they must be meeting SAP requirements by the end of the following year. Federal regulations permit students to appeal their loss of federal aid and, instead, be placed on one term of Academic Probation status. This status allows for reinstatement of federal funds for one payment period only, provided all appeal conditions are met and approved. The bases on which a student may file an appeal include the death of a relative, an injury or illness of the student, or other special circumstances beyond the student’s control. The student must complete the Satisfactory Academic Progress Appeal Form and include documentation to support their basis of appeal, a letter that explains what has changed in the student’s situation that will allow the student to demonstrate SAP at the next evaluation and a plan of action developed with the academic advisor that will ensure they continue to meet SAP. In certain cases, an academic advisor may develop a plan which will enable the student to meet Union’s SAP standards by a specific point in time. In such situations, until the specified point in time is reached, the student’s progress must be evaluated each term to determine whether or not the student is meeting the requirements of the plan. Any student who is not meeting the requirements of the plan will lose their Academic Probation status and, therefore, eligibility for federal funding. The Appeal Form along with supporting documentation will be reviewed by a committee that will include the Director of Financial Aid as well as an Academic Dean. The student will be informed of the committee’s decision by letter and/or email. In the event that a student is placed on Academic Probation for one term, Union will review the progress at the end of each subsequent term for the entire academic year to confirm he/she is making SAP or meeting the requirements specified in the academic plan. A student must also achieve what is referred to as “satisfactory program pursuit.” This is defined as completing, with either a passing or a failing grade, a certain percentage of a full-time course load in each term for which an award is received. The percentage is 50 percent of the minimum full-time course load in each term of study during the first year in which an award is received; 75 percent of the full-time course load in each term of study in the second year for which an award is received; and 100 percent of the minimum full-time course load in each term thereafter. What financial assistance is available, including information on all federal, state, and Union College aid programs? What are the specific deadlines for submitting applications for each of the various aid programs? What is Union’s cost of attendance and what is our policy with regard to making refunds to students who leave the College? What criterion is used to determine which students are eligible to receive aid? How does the College determine financial need, including how costs for tuition, fees, room and board, travel, books and supplies are considered in the calculated budget? What resources (such as parental contribution, other aid resources, assets, etc.) are considered in the calculation of need? How much of financial need as determined by the College has been met? What does each of the types of aid included in a package mean? What portion of an aid award must be repaid and what portion represents gift aid? If any portion of a package includes a loan, the student has the right to know the interest rate, the total amount that must be repaid, the payback procedures, the total time to repay the loan, and when the repayment is to begin. Review and consider all information about a school’s financial aid program and specifically, the financial aid award, before enrollment. Complete financial aid applications accurately and within the established deadlines. Errors may delay the processing of an application. Intentional misreporting of information on application forms for federal aid is a federal violation and is subject to penalties under the U.S. Criminal Code. Return all additional documentation, verification, corrections, or other requests from the financial aid office or by agencies to which a student has submitted applications. Read and understand and accept responsibility for all of the forms. Keep copies for records. Notify a lender of any change in name, address, or school enrollment status. Perform in an acceptable manner, the work that is agreed upon when accepting employment through the Federal Work-Study Program. Students must file the Free Application for Federal Student Aid (FAFSA) in order to be considered for any of the federal programs (grants, loans, and work study). Based on the FAFSA, the Financial Aid Office reviews eligibility and makes awards within program guidelines and formulas (as always, subject to available funds). Pell Grant: These grants, varying from $606 to $5,920, are awarded to the neediest students (based on a federal calculation). Federal Supplementary Educational Grant Program (FSEOG): These additional grants are awarded to Pell Grant recipients. Federal Work-Study Program: Students work in part-time jobs on campus and can earn up to the amount indicated on the award letter. This is a federally subsidized program administered by the College and offered to students as part of their aid package. Preference for jobs is given to students based on financial need. Additional information regarding the work-study employment program is available on the financial aid office website. Federal Perkins Loan Program: A need-based loan program administered by the college, with a fixed interest rate of 5%. Repayment begins nine months after completion of studies or leaving college and may extend up to ten years. Federal Direct Subsidized Loan Program: A need-based student loan that carries a fixed interest rate and allows for the deferment of both principal and interest while the student is enrolled at least half-time. Loan maximum amounts are $3,500 (first-year students), $4,500 (sophomores), $5,500 (juniors and seniors) with a maximum cumulative total of $23,000. Federal Direct Unsubsidized Loan: Students who do not qualify for all or part of the need-based subsidized Direct Loan may qualify for an unsubsidized Direct loan. The interest rate is fixed and the interest begins at time of disbursement (or the student can choose to pay the interest while still in school). For dependent undergraduate students, the annual loan limits include amounts borrowed under a Federal Direct Subsidized Loan (i.e. first-year students $3,500; sophomores $4,500; juniors and seniors $5,500). Dependent undergraduates may borrow an additional $2,000. Undergraduates who are independent according to the federal guidelines or whose parents are ineligible for a Federal Direct PLUS Loan may borrow up to an additional $6,000 (for first-year students and sophomores) and $7,000 (for juniors and seniors). The current interest rate for Direct Loans is 4.45% with an origination fee of 1.069%. Eligibility for these loans is determined through the Free Application for Federal Student Aid (FAFSA) at www.fafsa.ed.gov. The Financial Aid Office notifies applicants the specific amounts for which they qualify from both the subsidized and unsubsidized loan programs. Repayment begins six months after completion of studies or leaving college and may extend up to ten years. Federal Direct Parent Loan for Undergraduate Students (PLUS): If creditworthy, parents of undergraduate students may be eligible to borrow up to the cost of attending Union (minus other financial aid accepted). The PLUS loan has a fixed interest rate of 7.00% effective July 1, 2017 and repayment begins 60 days after the funds are fully disbursed. The parent borrower does have the option to defer payments on the PLUS loan until the student’s six month grace period ends. PLUS loans are subject to a 4.27% origination fee. Information on the application process is available on our web site or from the Financial Aid Office. Veterans Administration (VA) Benefits: Many programs of educational assistance benefits are available to those who have served in the military, and their dependents. Program benefits vary with dates and length of service. Detailed information on all veterans’ benefits and assistance in applying for benefits can be obtained from offices of the Veterans Administration in each state. Union College is a proud participant in the Yellow Ribbon Program and its commitment to provide educational opportunities and resources for U.S. Veterans. Congress passed the Post 9-11 GI Bill to enable affordability for eligible participants at public and private colleges and universities as well as other educational programs. In some cases, the resources provided by the Veterans Administration combined with the Union College award enable the qualified applicants to enroll at Union at minimal cost. The Post-9-11 GI Bill provides educational resources for individuals who served on active duty after September 10, 2001 with at least 90 days of aggregate service, or individuals who were discharged as a result of a service-connected disability after serving 30 continuous days following September 10, 2001. Individuals must also have received an honorable discharge for consideration of the Post 9-11 GI Bill. The level of eligibility ranges from 40% - 100% depending on the actual length of time of active duty after September 10, 2001. Veterans who qualify for benefits at less than the 100% level will receive prorated amounts for the benefits listed above. In some instances, individuals may transfer their benefits to their spouse or dependent children. More detailed information regarding the specific levels of eligibility and transfer of benefits is available on the GI Bill Website. Students receiving Veterans benefits may also qualify for Institutional, Federal, and State financial aid programs. Application requirements are available on the financial aid website. As a participant in the Yellow Ribbon program, qualified applicants must self-identify as Yellow Ribbon eligible on their admission application. Union College will fund up to four Yellow Ribbon awards. These awards are granted on a first-come, first served basis. Qualified Veterans will receive $30,685 in Union Scholarship, which when combined with the Veterans assistance, will cover the cost of tuition and fees. Please note that eligibility for Yellow Ribbon is limited to applicants who are eligible at the 100% level. Upon submission of your application to the Veterans Administration for benefits, you will receive a Certificate of Eligibility which must be completed by the School Certifying Official in the Registrar’s office. Please send this form to Drew Lentz, Assistant Registrar and School Certifying Officer at lentza2@union.edu for certification. Tuition Assistance Program (TAP): Awards range from $500 to $5,165 annually and eligibility is based on New York State family net taxable income. Applicants must apply each year to the New York State Higher Education Services Corp., 99 Washington Ave., Albany, N.Y. 12255. In addition to meeting the income eligibility guidelines, TAP recipients must continue to meet the satisfactory academic progress and program pursuit requirements as described in the N.Y.S. Academic Eligibility section. Students who fail to meet the minimum successful completion of coursework and grade point average requirements, may lose their eligibility for TAP for the following term or until they meet the minimum requirements. Students must also be enrolled full time to qualify for New York State awards. Students withdrawing from all courses in a particular term will be ineligible for the next term. More information is available under the section “New York State Satisfactory Academic Progress”. Higher Education Opportunity Program: To qualify for this program a student must be a N.Y. State resident attending a N.Y. college or university, and be economically and educationally disadvantaged. Need is met through a combination of state, federal, and institutional funds. In addition to the financial component, the program offers support services such as counseling and tutoring. There is not a separate application required for this program. Including all of the College’s endowed and annual scholarships, this is by far the largest single source of assistance available to our students. Most of the scholarship money offered is based on need as determined by the FAFSA and PROFILE forms. Union does offer some merit awards ranging from $10,000 to $20,000 per year. It is not necessary to complete a separate application to qualify for a merit scholarship. These college funded loans normally range from $1000 to $5000 and have a fixed interest rate of 6%. The interest does not accumulate while the student is enrolled and repayment begins 6 months after the student has graduated or leaves school. These loans are generally based on need and the standard application procedures apply. Repayment can be deferred for graduate school.